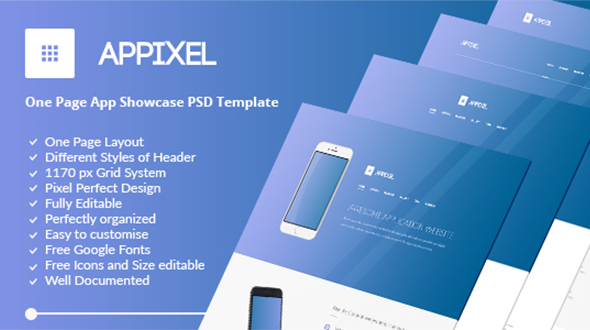 Appixel is a clean and modern One Page Showcase PSD template appropriate for Mobile Apps. However you can use it for any device App just change the images and colors or any layers to fit your needs. Template is fully editable and well organized layers. You can easily change its color, shape, Text, font style, icons size or even the order of sections. It comes with different Styles of (Header – Screenshots Section- Analytic Section).